When searching for the right cat litter, a stroll down the cat aisle can feel like a game of litter roulette: Which litter should be the winner? One box says clumping, another says lightweight, while another says it’s all natural. With so many options to consider, here’s a guide for picking a litter. A favorite among cat lovers, clumping cat litter is designed to make it easy to remove both urine and feces from the cat litter box. Clumping litter often contains a material called bentonite, which allows the litter to clump as it absorbs urine and feces. 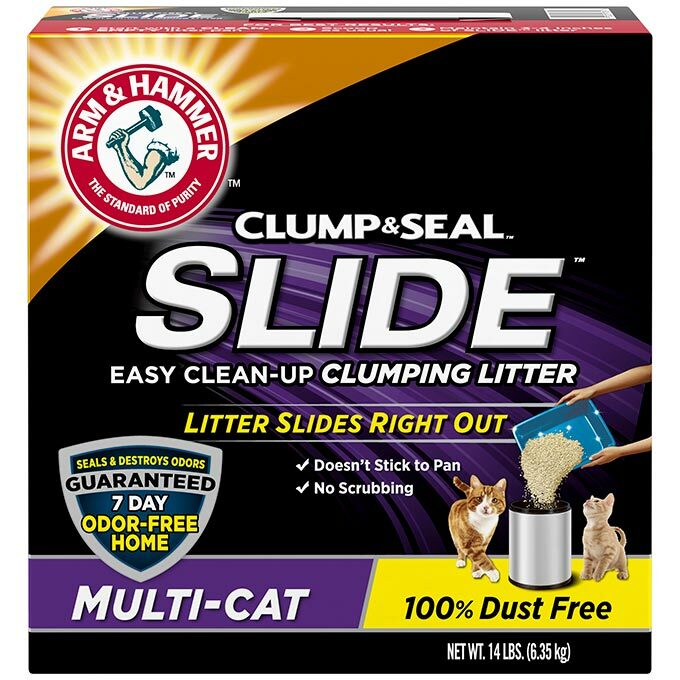 There are also natural clumping litters that use plant-derived fibers and clumping agents. 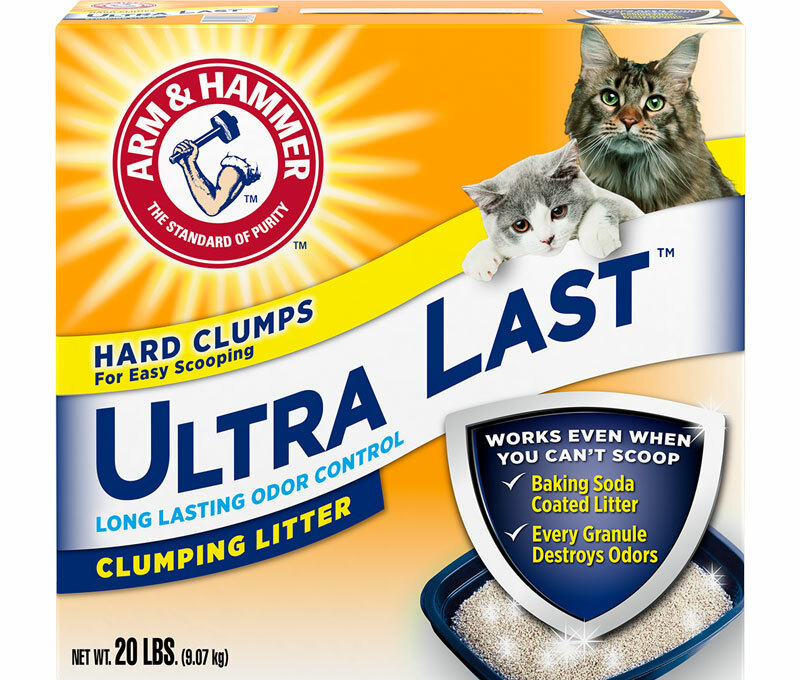 Clumping makes it easy to scoop out urine-soiled litter — and to keep a cleaner, fresher litter box for longer. 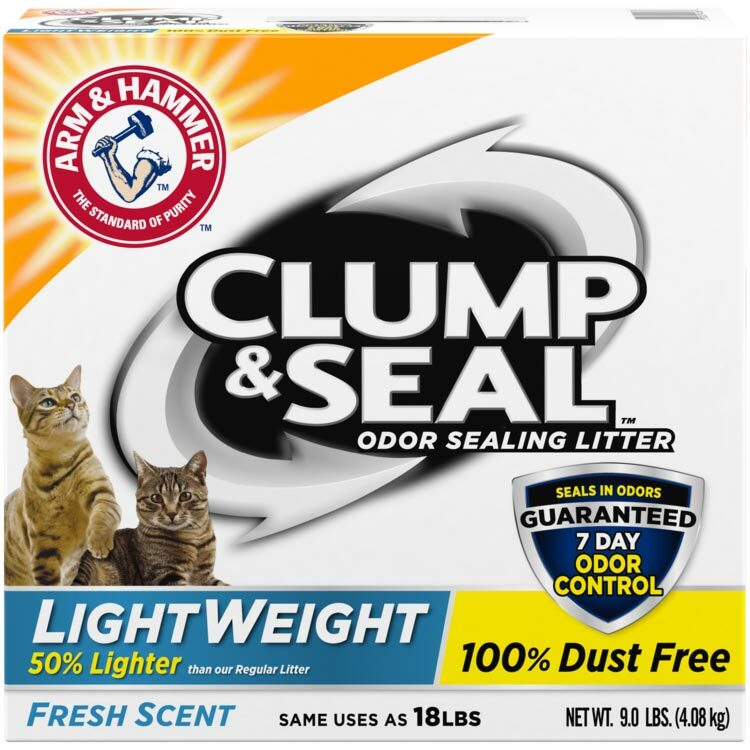 Once you remove those clumps, you’ll need to refill the box with fresh litter to maintain the 3-4 inches that will satisfy your cat’s primal need to dig and cover his waste — and to control odor. An oldie but a goodie. Unlike clumping litter, this type of litter absorbs relatively large volumes of urine. Non-clumping litters are most often made of clay, but there are also plant-based alternatives like wheat and wood—or pine, like in ARM & HAMMER™ Feline Pine™ Litter. They often have larger granules, which can help reduce tracking. Non-clumping litters are often less expensive than the clumping kind, making them the go-to option for cat owners. As your cat continues to use his box, urine can pool at the bottom, which makes it difficult to remove without changing the entire litter box — often a once a week frequent routine to help manage odor. Some cats prefer non-clumping litter. Higher traffic patterns call for stronger odor control — and when you have more than one cat in your family, you have busier litter boxes in your home. Multi-cat litters tend to have more odor neutralizers in them to help eliminate the toughest odors on contact. More cats mean more cat litter boxes — one litter box for each cat, plus (according to experts) one additional litter box. For heavy weight odor control without being heavy, lightweight litters deliver. Lightweight litters weigh up to 50% less than regular clumping litter. Since they weigh less, they’re easier to pick up and pour, as well as to carry. They may track more often. If you’re one with nature, or one-ish, a litter made with plant-based ingredients may be right for you and your cat. They’re available in clumping and non-clumping options, for when nature calls. 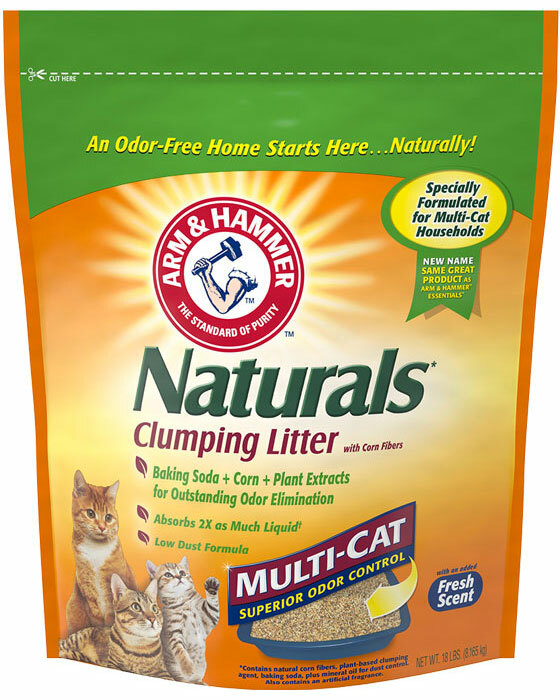 Natural litters are made with ingredients such as corn, sawdust, wheat, pine and recycled paper. No matter which kind of litter you choose, know this: cats aren’t big on change. So, add a small amount of new litterto the litter box over a week before making the switch to make the transition easier for your favorite feline. And with so many options to choose from, a little research — and patience — will make you both happy in just a few days. 1“Natural Cat Litter: What's the Difference, and Should You Switch?” Petmd.com. Web 21 Aug 2017.